Rotherham-based cycle retailer Planet X has been named in a league table ranking Britain's private small and medium-sized companies (SMEs) with the fastest-growing international sales over the last two years. Planet X specialises in time trial, road, track and fixed wheel bikes along with mountain bikes under the On One brand. They relocated to new premises at the Ignite development in Templeborough in 2009 and have gone from strength to strength. The Sunday Times BT Business SME Export Track 100 league table ranked international sales growth over the latest two years of available accounts, with minimum sales of £5m. Total sales had to be between £5m and £25m and international sales a minimum of £1m. Last year the firm broke through the £20m turnover barrier with international sales of £6.1m. An impressive growth in exports of 43% on the previous two years places Planet X at 69th on the list. Founded by keen triathlete Dave Loughran in the 1990's, Planet X is now the largest builder of high performance bikes in the UK, designing and selling under its own Planet X, On One and Titus brands. 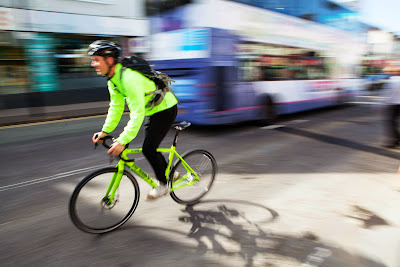 It has also acquired the respected Holdsworth and Viner brands, relaunching them by manufacturing the bikes in the UK. Planet X specialise in internet sales and making bikes to order but the Rotherham base also includes a showroom and sales area. In 2011 the growing firm took on a 16,500 sq ft warehouse next door. Now employing around 120 staff, it has recently relocated its warehousing and bike-build operations into a 47,000 sq ft building across Rotherham, in Aldwarke. New CEO, Chris Potter, a logistics specialist who has previously worked for IKEA and ASOS, joined earlier this year. Danny Longbottom, managing director UK SME at BT Business, said: "I would like to congratulate the businesses recognised in the inaugural Export Track 100, who are proving that it's not necessarily size that determines international success. These businesses have used a combination of self-starting ambition, smart use of technology, and sheer hard work to punch well above their weight in the global market. The fruits of their labour are contributing to a strong and diverse UK economy, which we can all be thankful for." Also making the league table is X-Cel Superturn, a global manufacturer of machined components, that is expanding into new premises on the Advanced Manufacturing Park (AMP) in Rotherham. In 2012, the Attercliffe firm announced that it would expand its current operations to a new 10,000 sq ft facility on the AMP. Fitted with the latest CNC machinery, the facility manufactures proprietary metal seals and drill parts for the Subsea and Surface Tree manufacturers around the globe. The company is now expanding into a 30,000 sq ft industrial unit on the site. With turnover for the year up to March 2014 at £23.4m, international sales accounted for £13.5m. Exports grew by 53% of the previous two years placing X-Cel Superturn 55th in the rankings.